You found the irresistible getaway that is sure to leave you feeling more rejuvenated than when you first walk in! Casa Di Vino will take your breath away with its charm and convenient location. 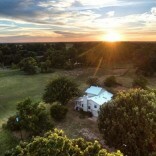 Located less than a mile from Bryan/College Station’s own winery, Messina Hof! 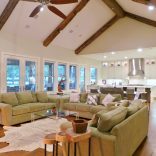 Come and enjoy a weekend getaway with the girls or guys and experience a true Vineyard in Bryan; while being only minutes from Historic Downtown Bryan shopping, live music, and dining. Try First Fridays for the ultimate experience in downtown! 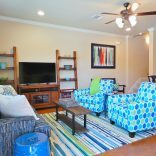 With 3 bedrooms and 2 baths, this fully decorated home provides everything you need to make your stay here in Aggieland unforgettable. 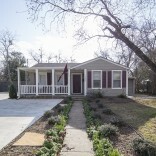 Whether you are coming in to cheer on the Fightin’ Texas Aggies, celebrate a graduation, Family Weekend, Aggie Muster, Ring Day, or to simply just get away, this is the home for you! Enjoy a homemade meal in this fully equipped kitchen with all appliances and extensive counter space where you can prepare a delicious meal and enjoy it at the beautiful dining table or the bar area. 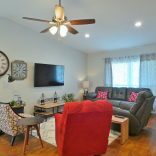 Complete with a large TV in the living space and a king-sized bed in the master bedroom with your own personal full bath with a luxurious garden tub and stand up shower. A comfortable backyard offers a peaceful place to spark up the gas grill for a fabulous steak dinner. Enjoy the pleasure of a cup of coffee in the morning while taking in the fresh air and enjoying the solitude. 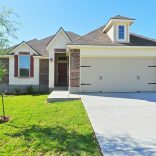 This secluded escape also provides outdoor amenities for our guests including a private community pool plus kiddie pool, walking trails and a pond all within a short walk to the rear of the subdivision.